Pete Hogan is a Newport Beach native and graduate of Newport Harbor High School’s class of 1998. While at Newport Harbor, Pete was a standout 3 year varsity football player and all-around athlete who served as team captain senior year and was the winner of the Jr. National Weightlifting Championship in ’97. Pete went on to earn a full football scholarship to Colorado State University, where he received All-Conference honors ’00, ’01, ’02 and was a Ted Hendricks Award Candidate his senior year while serving as the team captain. After graduating in 2003, Pete played a season of football in Germany prior to returning to Newport Beach to pursue a 5 year career in Real Estate. In 2008, Pete made the decision to pursue a new venture in personal training and nutrition. 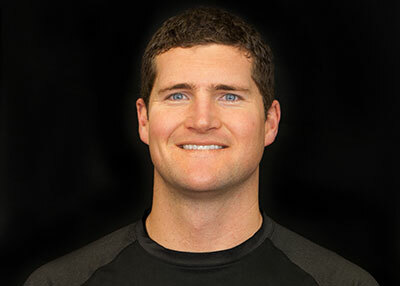 He began this venture at ProSport Physical Therapy prior to making the move over to Newport Medical & Wellness in 2009, where he served as the personal trainer in the physical therapy department specializing in core strengthening, corrective training, and spine alignment. Pete is CSCS certified through NSCA. In addition to his work in personal training, Pete has earned a Comprehensive Nutrition Diploma in 2011 from Huntington College of Health Sciences, where he is currently pursuing a Master’s Degree.